Vinnie is always very happy to see people and he will show you that he is happy by being quite vocal and jumping up for cuddles. 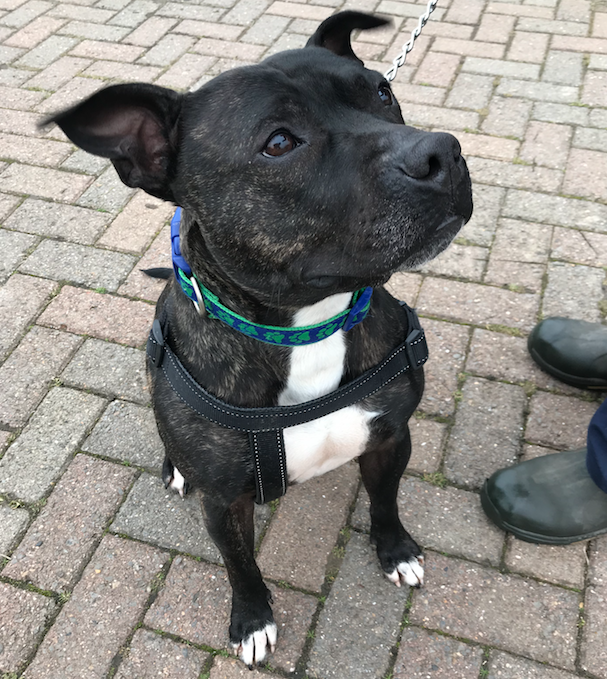 Vinnie is looking for a lively home where his training can be continued and with owners who will give him the physical and mental stimulation needed to burn off his energy. He is a very loving but boisterous boy who is looking for a home experienced with Staffie’s or bull breeds. If you are interested in giving Vinnie a loving home or require any more information, please call 0191 215 0435.